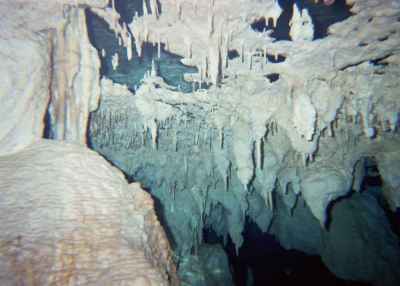 Cenote Chan Hol is currently being explored in Mexico. I was kindly given the freedom of the cave by Kim Davidsson, the explorer, and took these photos of it. Only two people have ever seen the cave in real life, Kim and me. Click on any photo to enlarge it. And please excuse the quality - this is my first toe in the water with cave photography, and was almost my first time in a virgin cave passage. 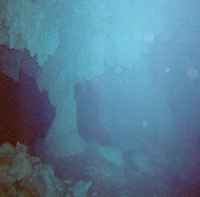 The first 4 photos are from the shortcut to the left of the main entrance of the cave. Note the air pockets on the ceiling.